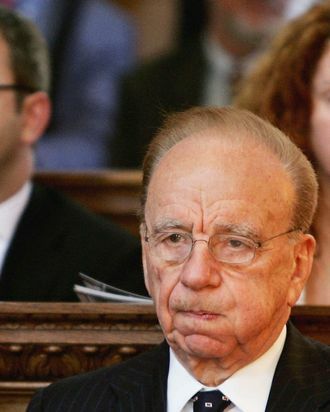 The number of "likely" phone-hacking victims at the hands of News Corp. has now been confirmed to fall north of 1,000 people, up from previous estimates in the high hundreds. The BBC also reports that the endless investigation will also have an "enormous cost" and could total £40 million over four years, according to British police. Rupert Murdoch, who’s paying a bit himself in settlements, can isolate the problem on his balance sheets, but he can’t outrun it entirely.